Turn uncertainty into a new wave of client confidence. The uncertain future of the Department of Labor’s Fiduciary Rule continues to be top of mind throughout the financial services industry. Now, in the aftermath of the presidential election, advisors are aiming to put their client needs front and center amidst a shifting political and regulatory landscape. 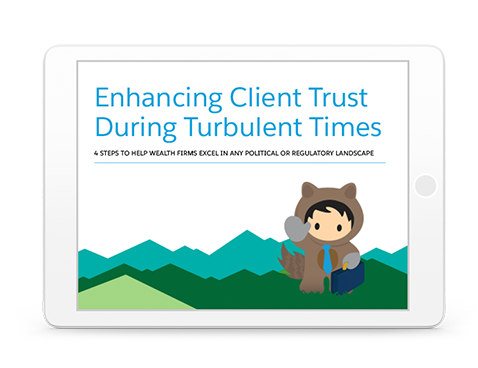 Take a look at our latest white paper — your 4-step guide to enhancing client trust during turbulent times. Get the white paper now.